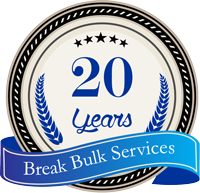 Break Bulk Services is a company that started in 1998 with the aim of providing quality services in the Romanian ports at Constantza Port and other EU Ports. It’s founding principle was a high quality service and this continues to be the guiding philosophy to this day. Our specialists are ready to assist you in any way possible and to provide you the best solution to your needs in a professional and comprehensive manner. Our dedication lies to serving your business needs. “Together, we will work towards finding the best possible solution to meet your every need regarding freight forwarding, container services, special transports and many other areas of expertise. We are an ever-evolving company that invests a lot of resources in constantly expanding it’s field of expertise. Our mission is to provide the best possible services for our partners, creating long term relationships and being the most qualified and professional team.